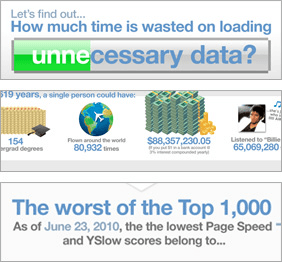 Infographic: How much time is wasted on loading unnecessary data? We collect a lot of data at GTmetrix – so we were really interested to see how the Top 1,000 sites perform with regards to speed and optimization standards. 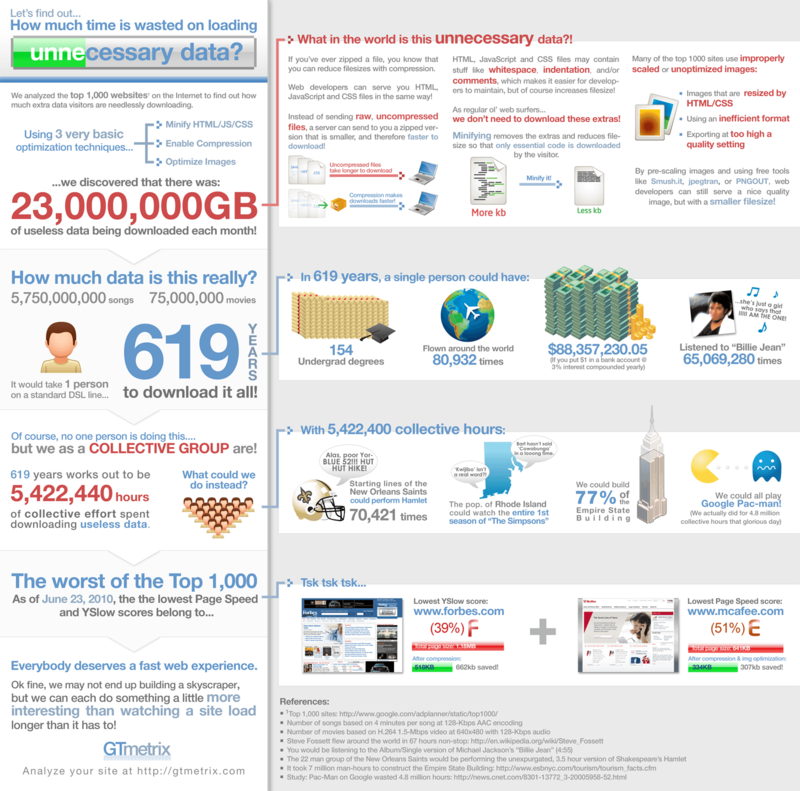 We created an infographic that describes how efficient (or inefficient) the top 1,000 sites on the internet were. Using three basic optimization techniques, it was very suprising to see the amount of bloat we’re downloading. If we can imagine the top 1,000 as representative of the entire internet, there is a lot of unnecessary downloading going on! Our infographic is meant to be a tongue-in-cheek, simplified generalization of our findings, but hopefully it will open some eyes, while providing some laughs!